It’s hard to overestimate the importance of looking after your car tyres. Sure, it’s not the most fascinating subject in the world – although tyre enthusiasts might beg to differ. But, making regular checks can save you money, time, and even your life. In this guide, we’re going to take you through some of the basics of looking after your tyres – read on to find out more. 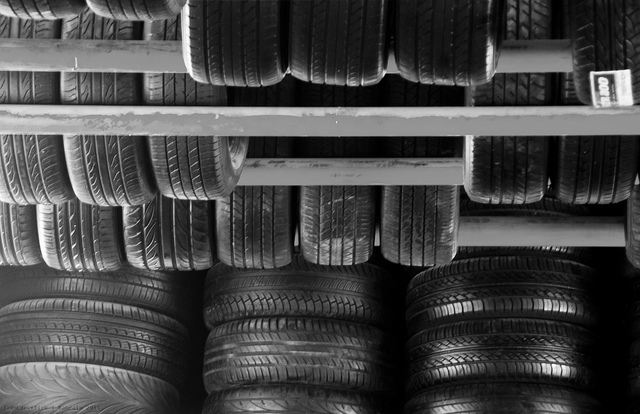 Several key problems occur with car tyres. The first one is all too common – under-inflation. Far too many people drive around with tyres that aren’t at their optimum inflation level. It can cause wear along the edge of your tyres, as well as decreasing your fuel efficiency. However, you can also over-inflate your tyres. This will wear away the centre of your tyre, and it is also more likely to burst. As you can imagine, driving at a high speed when this occurs is not going to be pretty. Tyres are also susceptible to a lot of damage. Little cuts or abrasions can appear with the weakest of knocks or smallest of objects. You could end up with a dangerous blowout, which often results in you and your passengers suffering from a serious injury – at best. As we mentioned above, keep your tyres at the optimum inflation. If you have just passed your test, or have never thought about tyre pressure before, it’s time to change your ways. You should check them often – once or twice per month at least. It will help you keep your fuel efficiency up, and will also help your car drive as it should. If one tyre needs inflating, it can affect your steering, and your brakes won’t work quite as well as they should. Check the treads on your car often, too. It is illegal to drive with bald tyres, so you have a responsibility to look after them. It’s a good idea to replace all your tyres at the same time so that they all have the same amount of tread. You can do this yourself, or bring it to your local garage. There are other options, of course. A mobile tyre service can come to your home or work and change your tyres with a minimum of fuss. Always keep a spare tyre in your car, too. You never know when you will get a puncture, and it’s easier to replace yourself than you might think. Most cars come equipped with standard tyres, but you can buy better yourself. There are plenty of choices, for all kinds of weather conditions – they will help your fuel economy and give you a better grip on the road. If you get stuck with choosing the best tyres for your needs, make sure you talk to your local tyre fitters. They will be able to give you the best advice on what will work, and save you plenty of cash from fuel consumption. As you can see, there is quite a lot to think about when it comes to caring for your tyres. And, it is one of the most important parts of your for keeping down your running costs. If you have any more tyre tips, please feel free to leave them below!